The other member of the trio, Stephen Spender, stayed on in Britain, and married, and stuck broadly to socialism. He became a literary lion of sorts, though his reputation suffered somewhat when the influention magazine he edited, ‘Encounter’, was revealed to have received CIA funding. I met him and his wife too, under less artificial circumstances, at lunch with the novelist Angus Wilson, who was their contemporary in age, though his literary career had begun much later. Isherwood I never met, though it was his work I had admired most, given my predilection for fiction. He also became something of a cult in the seventies, because of the film ‘Cabaret’, which was based on ‘Goodbye to Berlin’. This, a collection of connected short stories, along with its predecessor; ‘Mr Norris changes trains’, portrayed the Berlin of the thirties, a decadent city that had suffered enormously from the revenge taken on Germany by the Allies after the First World War. In perhaps the most memorable historical example of the mutually destructive results of revenge, the deprivation felt by the Germans led to Hitler, to excessive nationalism that was exclusive and bitter, and to death and destruction for so many in so many countries across the world. Fortunately Europe knew better than to repeat the mistakes of Versailles, and a more sympathetic approach to post-war arrangements in the forties has contributed to lasting peace in Europe. Sadly, in making amends to the Jews for what they had suffered under Hitler, Europeans typically made no sacrifices themselves. Instead they paid their debt through a charge on the Palestinians, a charge that has grown more oppressive with the years, with lastingly adverse consequences for world peace and consensual concepts of justice. Isherwood’s achievement in his novels was to record the relentless decline of the political situation in Germany, while also celebrating the interactions of the individuals who sought to fashion themselves anew in a shifting world. 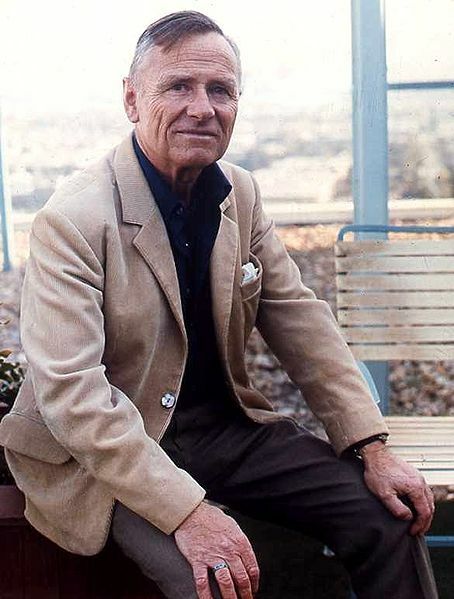 The technique was largely autobiographical, and most characters were based on people Isherwood knew, but he sharpens them up in a way that brings them eternally alive. Fascinatingly, too, the first novel is comparatively light hearted, and the misfortunes of the shady Mr Norris are wryly entertaining, even though the fate of his German acquaintance is darker. In the latter book however, published just before the War, the despair is more marked, even with the more ephemeral characters such as Sally Bowles, the night club singer with a heart of gold. Most of the Britons he describes are seeking a prosperity or a satisfaction they could not find in England. Isherwood himself found there the fulfillment of a sexuality that was still frowned on at home. Weimar Germany was a liberation for such, and the biographies of even more orthodox worthies of the time, such as the distinguished academic Maurice Bowra and the influential diplomat Harold Nicholson, suggest the forceful attractions of Berlin at a time when England tended to sublimate sexuality. Michael York, playing the authorial character Christopher in ‘Cabaret’ caught that ambiguity brilliantly. But the film belonged rather to Liza Minelli, playing Sally Bowles, and to Joel Gray, playing the compere of the cabaret in a virtuoso performance that made clear the transition from make believe to fearful reality. He had a number of great set pieces, but I remember in particular the bizarre elegy, ‘If you could see her through my eyes’, comically directed at a chimpanzee until the chilling last line – ‘She wouldn’t look Jewish at all’. And perhaps the most chilling moment of all was the rendition by a blond icon of Nazi youth of a rousing song, ‘Tomorrow belongs to me.’ It is sung in a small outdoor café, and as everyone gets up, some enthusiastically, others not wanting to be seen to dissent, Christopher realizes how mass emotion is taking over the country. Since that scene, I have had a deep distrust of all group identity rituals, because they generally end up being not positive, but rather negative about those who are not part of the charmed group. The book itself had nothing so dramatic, but its account of the manner in which young people were drawn into all sorts of movements they scarcely understood, with descriptions of the angst of the Jews who saw a net closing around them, is perhaps even more illuminating, about the manner in which, relentlessly, societies can change for the worse. Sadly, I don’t suppose study of such movements will provide any defence against them when they happen, as with Cyril Mathew’s storm troops of 1981 and 1983 and then the much more horrendous response of the Tigers, playing on the resentments that more innocent victims naturally felt. Isherwood’s later work did not seem to me so memorable, though ‘Down There on a Visit’, about four individuals who epitomized their societies in a state of decline, was cleverly put together. Interestingly, I gather that ‘A Single Man’ was turned only last year into a film, which even featured at the Oscars, though mainly I gather for a moving performance by Colin Firth. Clearly then Isherwood still has something to offer modern society. But for me this exposition of individual anguish is less impressive in the end than the light but compelling evocation of a still significant period in social as well as political history.